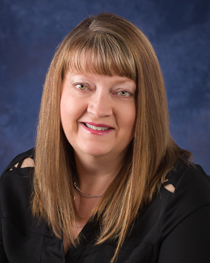 Lisa joins Multop Financial as a Certified QuickBooks ProAdvisor with over 19 years of bookkeeping experience. Her prior work with CPA firms has given her experience with clients in many different industries. Lisa became a ProAdvisor in 2009 and enjoys learning and sharing all the new tips and tricks that QuickBooks has to offer each year. Lisa works with Michael to perform bookkeeping and payroll services for our business clients. She also has the ability to train business owners on how to use QuickBooks effectively for those who would prefer to do these tasks on their own. She looks forward to being able to expand on the services being offered at Multop Financial. Lisa was born and raised in Bellingham and she enjoys taking off on the weekends to go camping. Her and her Schnoodle, Malcolm, love to head out to discover the wonderful trails all around Bellingham. She also enjoys gardening, getting crafty and photography in her spare time. For information about our bookkeeping and payroll services or to schedule an appointment to meet with Lisa, please contact our office using our Contact Form.